Home » Reviews » What are the best spill resistant keyboards to buy in 2019? People who believe in snacking while gaming or working away on their computers often times do not have spill resistant keyboards. 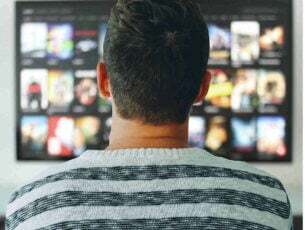 There’s a tendency to think that because they’re used to doing it, the chances of liquid spills from canned soda or particles from their favorite snacks won’t fall on the keyboard. Well, you could get yourself a keyboard protector to prevent such spills and particles from finding their way into your keyboard thus causing damage, and affecting its performance. Alternatively, you can invest in a spill resistant keyboard. Spill resistant keyboards are designed to keep away the spills, and the anxiety, and eventual damage that comes with it. It also gives you enough time to save your data and shut down your computer before it gets worse, by delaying the time taken for a spill to reach the mainboard of your computer. Before spill resistant keyboards were invented, the mainboard and everything connected to it would be damaged, and/or ruined, resulting in system failure. But now, this new innovation ensures your system is protected what with the double tape sealing, insulation and several other mechanisms that work together to prevent damage from spills contacting the running components. 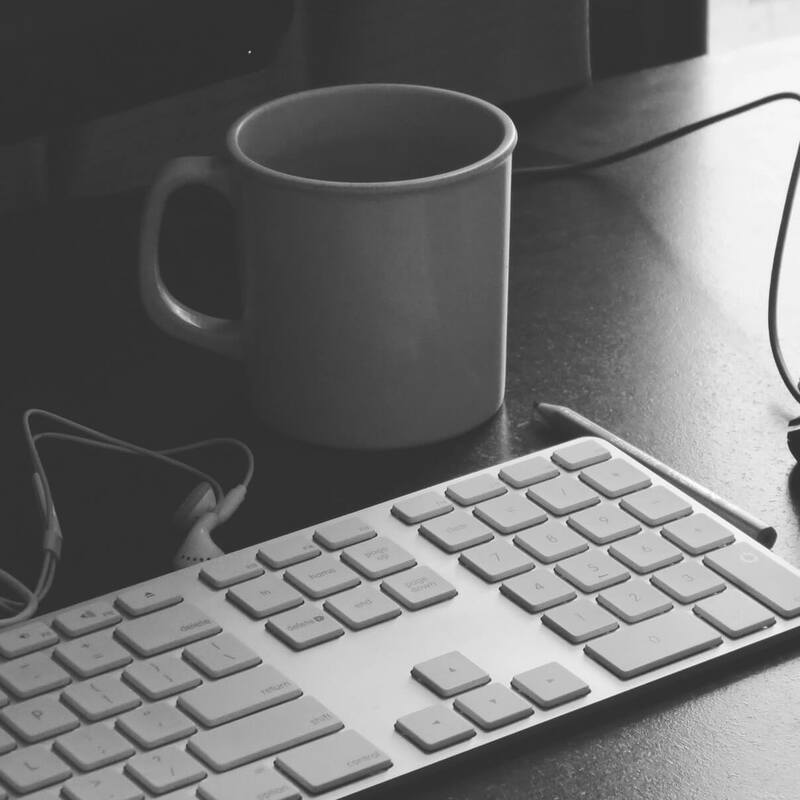 Check out the best spill resistant keyboards you can get before the year is over. This keyboard stays true to its name because it is water resistant and washable, meaning you can submerge it in water up to 11 inches (as long as the USB cable stays dry), and clean it, and it won’t get damaged. According to Logitech, the makers of this keyboard, the keys will last up to 5 million keystrokes, while the UV-coated, laser print lettering on the keyboard will resist fading no matter how many times you clean it in water. This means no more accidental spills, because deliberate ones are welcome as well. Its design is adjustable and useful for a USB computer type of device, plus it has USB connectors, ports, and is a wired connection type of keyboard. This keyboard is one of the best among all spill resistant keyboards because it is affordable, durable, washable, and of course it takes away the anxiety of accidental spills and potential system damage. It is easy to clean, dry, and its drainage holes take care of the excess water, plus its design is contemporary so it looks beautiful with your PC and your workspace. 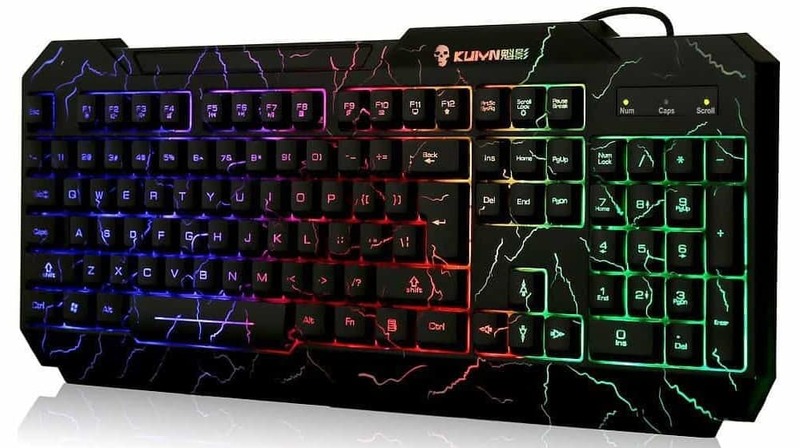 This keyboard, designed for gaming, includes an LED backlit color and brightness levels adjustable through the knob. With the backlit function, each button on the keyboard is clearly visible at night so you can work even in the night with some pretty cool LED backlights guiding your strokes. Its non-slip design is perfect for the best gaming performance and comfort, plus it has a key life of 10 million strokes. Simply plug and play for a comfortable gaming experience, or work away with less stress. Besides a cool name, the Koolertron keyboard is also backlit ensuring you can see each button clearly in the night. It is spill resistant, plug and play (no need for installation), and has one key to turn on or turn off the backlighting effect, with adjustable brightness. 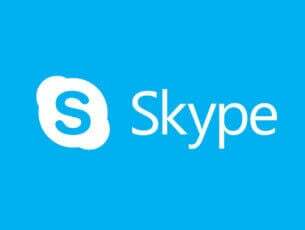 You also enjoy the multimedia keyboard shortcuts, 19 anti-ghosting keys, and more than 100,000 key strokes. 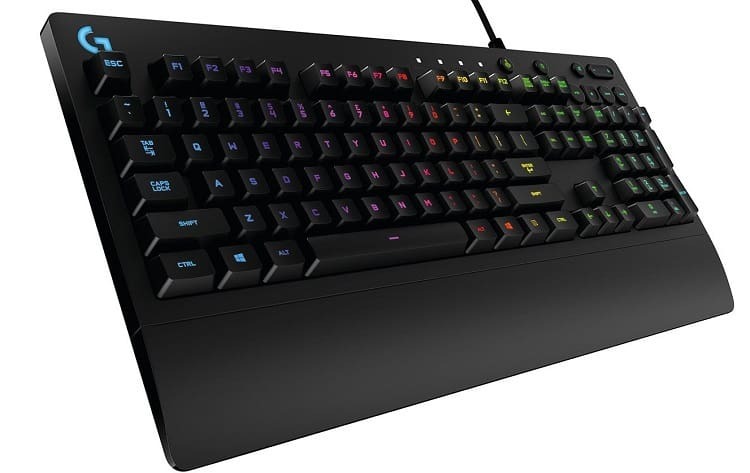 This cool keyboard is your best choice for gaming, plus it is very affordable. 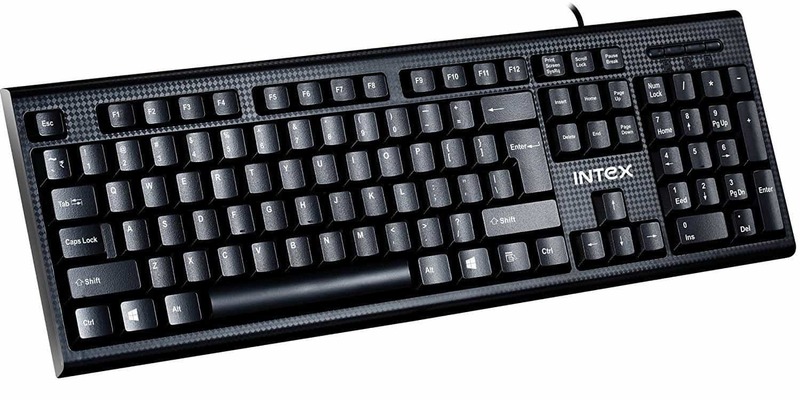 This is another one of the best spill resistant keyboards with a nine drainage hole design. It also comes with an LED backlight that lets you see each button clearly at night. It has a unique crack rainbow color backlit design with a flare that gives you a different mood each time, and perfectly matches your work space. You don’t need any instructions to use this keyboard as it is plug and play, plus it has a soft touch and is comfortable to use. This keyboard is built for real life experiences regardless of whether you use it for gaming or working. Its durable design resists liquid spills (tested with 60ml liquid spillage), crumbs, and/or dirt, so that real world accidents don’t interfere with what you’re doing. 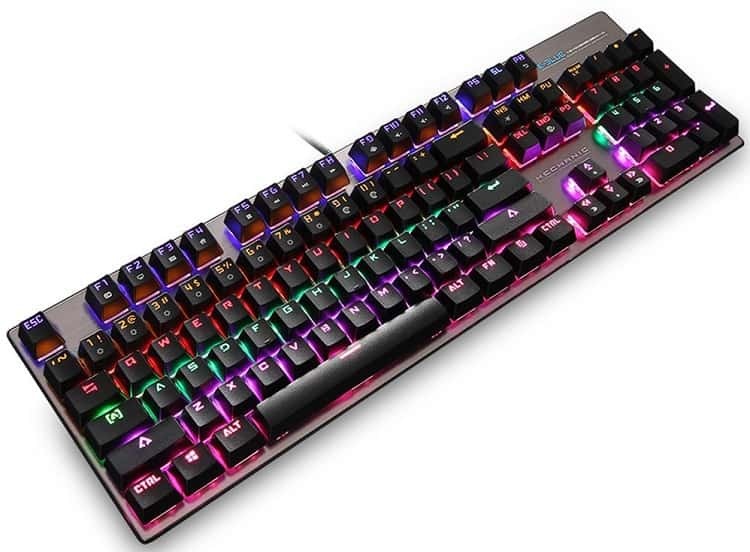 Besides being spill resistant, this slim, gaming keyboard, also lets you personalize and match your style your gaming gear. It is four times faster than standard keyboards, with its tactile performance keys, plus it has dedicated media control that lets you quickly play, pause, skip and adjust the volume of your game or music straight from the keyboard. You can also personalize the lighting zones with a spectrum of over 16 million colors that can match your setup or games. It may be a bit pricey, but you can already see why. This is one of the most affordable yet useful spill resistant keyboards in the planet. It comes with a standard keyboard layout, efficient for working or gaming, and a sleek, contemporary style design, plus it is portable. It is built with high-quality material, and its spill resistant nature is manifested in 3 layers of internal membrane protection, ensuring superior durability to prevent falls or splashes. The keycap characters are also easy to read and don’t fade easily due to laser carving technology that ensures up to 10 million times of keystrokes. Its wired keyboard has drain holes that withstand any accidental spills, but don’t immerse the keyboard in liquid. 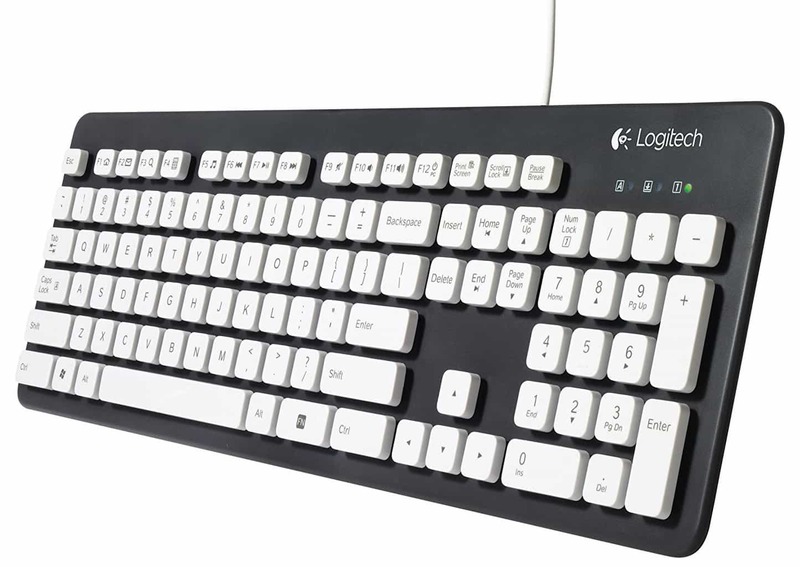 Logitech is known for being a top manufacturer brand for mice and keyboards, including spill-resistant keyboards. The MK120 is one of the most comfortable, sleek, yet sturdy and stylish spill resistant keyboards in the market. Its spill-resistant design drains accidental spills out of the keyboard, having been tested under limited conditions of a maximum 60ml liquid spillage (don’t immerse it in liquid). It is a rugged spill-resistant keyboard, with a standard layout, and is corded for a simple USB connection. It also comes with a 3-year warranty and works with desktop, notebooks and netbook computers. 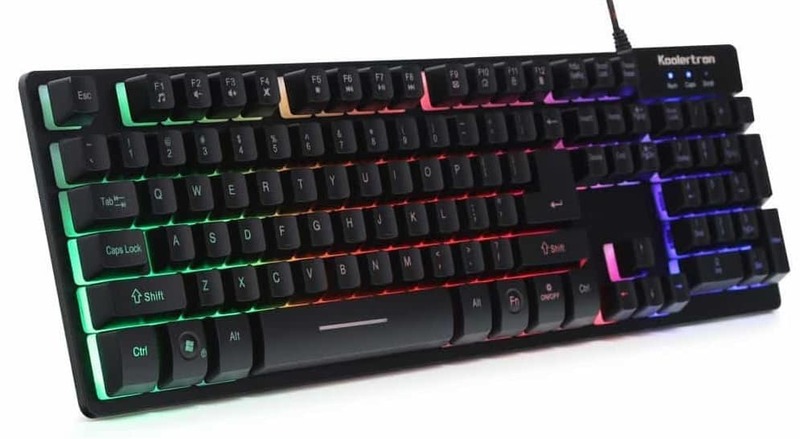 This keyboard brand is known for its over 30 years’ experience in serving more than 100 million satisfied customers due to its Dutch design thus you can trust its quality. It is spill resistant, wireless, and comes with an optical mouse. This keyboard’s build quality is made of top grade aluminum alloy panel and ABS, with a matte finish texture. It is sturdy, robust and water resistant with drain holes. 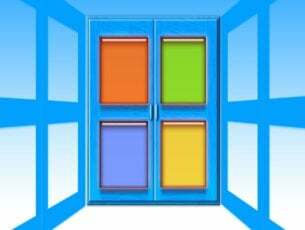 It also supports Windows OS and devices. In addition to being spill resistant, its keycaps are laser-engraved and thus not easy to fade. 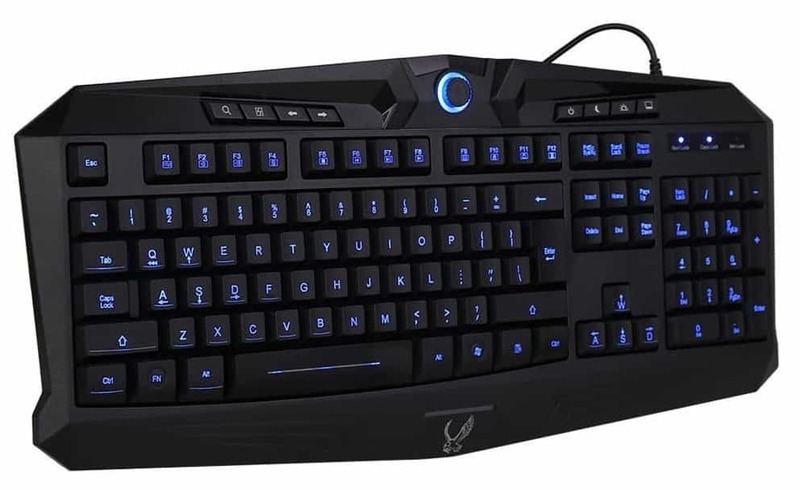 It is a great keyboard for gaming and working, with anti-ghosting 104 keys, and tactile feedback from the keys that allows for typing speed and accuracy. This keyboard can bear 50 million keystrokes, plus its build protects it from any scratches, bumps, or corrosion. You wash your hands to prevent germs, why not your keyboard? Actually, they say the keyboard has a lot more germs than even the loo, so you it should make the list of your hygiene priorities. This keyboard, though, makes it easier for you as it is washable, meaning you can immerse it into water, making sure not to immerse the USB cable or plug, and you’re good to go. It has a treated antimicrobial coating that provides added defense against growth of molds, mildews, and fungi associated with odor and stain-causing bacteria that lodges on your keyboard over time. It is waterproof, washable, plug and play via USB, and has soft touch keys that offer crisp, responsive touch for added comfort. This spill resistant keyboard comes with 5 million keystroke cycles which means it is a durable product, and is compatible with Windows. If you’re used to snacking or sipping coffee while you work, or while gaming, then the Corona slim USB keyboard is for you as it features a unique water spill resistant body, preventing any damage that may be caused by accidental liquid spills. Enjoy robust keys, durability and sleek design with the Corona Slim keyboard, which is also convenient to use as it is wireless so you can place it anywhere from your computer and free up desk space. This is another among the best spill resistant keyboards that prevents accidental splashes and spills. 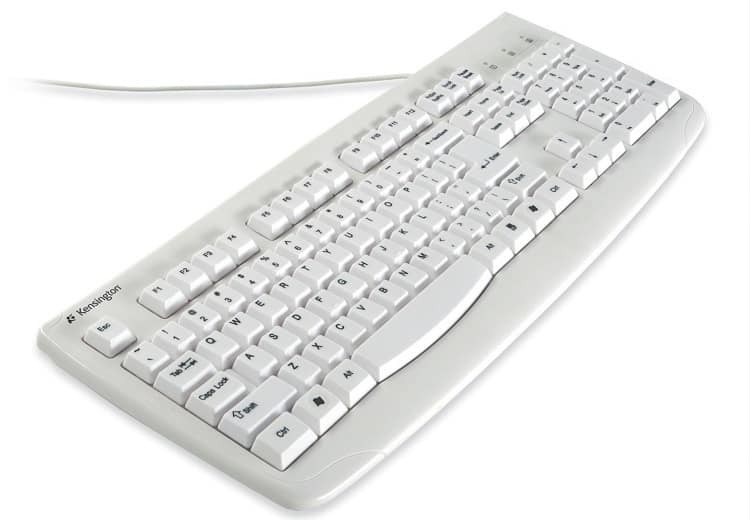 It comes with an easy to view number, caps and scroll lock with LED status indicator, plus its curved space bar keeps your hands in a comfortable, more natural position. Its new spill resistant sleek design is appealing, comfortable, and provides better tactile feeling and less pressure on your fingers and wrists. 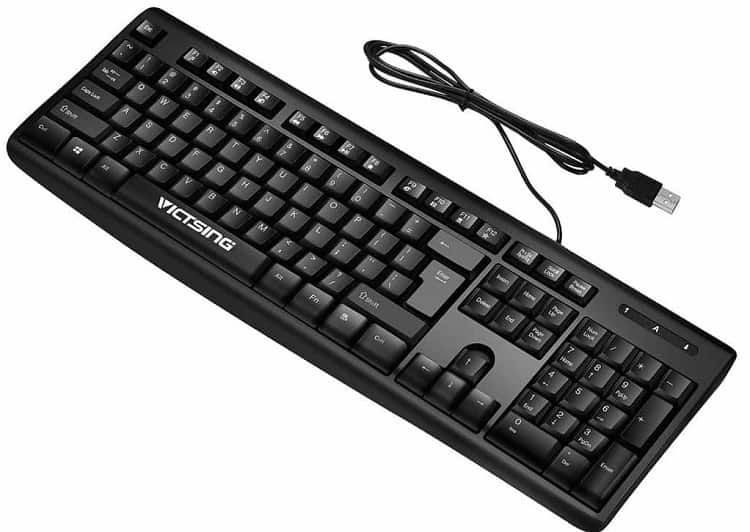 Last but not least on your list is this HP keyboard that also comes with a DualPoint pointing stick. The peripheral is aso backlit so that you may better see which keys you’re pressing if light is low. The package includes the keyboard cable and the pointing stick cable. Have you found a suitable keyboard among these spill resistant keyboards? Let us know in the comments section.